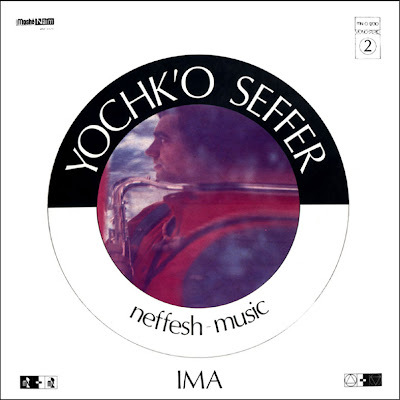 It happened again!I was listening to this wonderful LP trying to write a review,but,i was so deeply "got into " this music that words could not come out of my mind.Only pictures....Dark,nightmarish sometimes ,pictures.Seffer is a saxophonist and clarinettist of Hungarian origin. 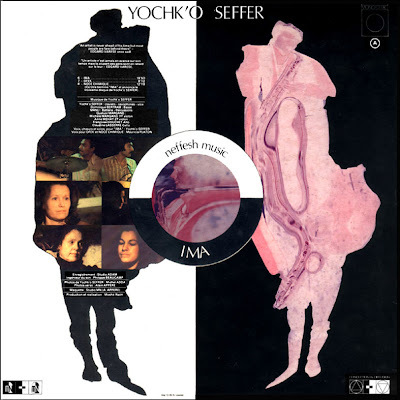 He became well-known at the beginning of his career as a member of Magma and Zao.This LP is the 2nd part of a work named Neffesh music(first one is Adama).Adama with half this LP was reissued by Spalax records a few years back.Excellent complex compositions in the ZAO /MAGMA most experimental vein,with dark ,evocative,sometimes oppressing feeling.Ethnic chanting and jazzy passages creating a unique sound!Just a masterpiece! French sax player and composer born in Miskolc (Hungary) on 10.7.1939, Seffer starts studying music at the age of 6. He moves to France in 1956 where he studies reeds, piano and composition at the Conservatoire de Paris, mainly with Nadia Boulanger but also as an occasional student with Olivier Messiaen. In 1959, at the Bohème, he performs with Mal Waldron, the first one in an endless list of partners (amongst others, Charlie Rouse, Phil Woods, Steve Lacy, Ornette Coleman, Pharoah Sanders, Dave Liebman, Kenny Barron, Joachim Kühn, Daniel Humair, Henri Texier)… In 1969 he creates Perception together with Siefried Kessler, Didier Levallet and drummer Jean-My Truong. The following year, he appears in Magma's line up. In 1973, he associates with pianist François "Faton" Cahen to create ZAO. In 1976, he initiates Neffesh Music, a musical ensemble including jazz improvisers and solists from Pierre Boulez' Ensemble Intercontemporain. Between 1983 and 1985, Jean-François Jenny-Clark, Kessler, Michel Godard and drummer Peter Gritz will be part of Chromophonie, a big band that will be followed by a saxophone septet (1986). In 1988, he adopts a quartet formula (with Kessler, François Méchali and Gritz) that plays Monk's compositions; that first tribute will be followed by another tribute, to Coltrane this time and with eighteen musicians. He is also a painter and a sculptor and the father of cellist Debora Seffer. Coloured spots, smelting masses, nuances and violent patchworks, he plays music as he paints and sculpts, putting together the dancing lyrism of his compatriot and fellow musician Bartok, the colatranian fire and the sense of evidence of Monk, connecting all these various elements as a multi-instrumentist virtuoso(from soprano to bass saxophone) led by an inexhaustible passion. Thanks for this, never imagined that he's been so experimentally busy at that time. Yeah, this one is deep! What a unique beautiful sound created here. Thanks for the treat! ...but the first three are all astounding !